Lorien is a wife, mum and compulsive doodler from Australia. She grew up surrounded by the rich design elements of South Asia and the Middle East and the tradition of mehendi or henna decoration, which has influenced her drawing style and patterns. Lorien loves to play with colour and create intricate designs on any blank surface that will stay still long enough. The idea to create colouring in resources that combine the therapeutic effects of colouring in with the healing and restorative nature of Scripture is one that sprang up fairly quickly. However, Lorien has long been passionate about using creative methods to reflect and meditate on God’s word and encouraging others who also wish to do so. It is her hope that many people will use her work to worship God and meditate on his truth. 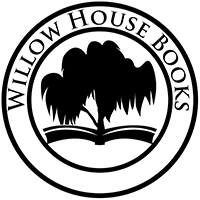 Willow House Books is a small boutique publisher, set up to sell books and literature which help people connect with God. It was launched in November 2015 by establishing the ‘Colouring With God’ brand and becoming UK and Europe agents to promote and distribute the beautiful scripture-based artwork by Lorien Atwood.